How do you sell a plastic bowl you couldn't give away into nine out of ten American homes? In 1951, Brownie Wise, an unmarried, single, working-class mother in Detroit thought she would have a go by holding a party to persuade her friends to buy enough to sell to other friends who in turn bought enough to sell to other friends. The Tupperware Party was born. 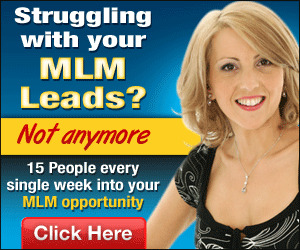 Gurus who investigated the phenomenon call the technique multi-level marketing, but this really is a dressed-up name for pyramid selling by a hierarchy of enclaves or a sequence of Internet chain letters. Success depends on nearly doubling sales at each rung. The method goes in and out of vogue but often reappears when some eager beaver firm with a hot product and dreams of instant wealth reinvents it to kick-start sales. Multi-level marketing in theory can have an infinite number of layers. In practice, there is rarely enough money to spread further than four levels and barely enough customers to go beyond seven. Even then, success depends on recruiting strongly motivated people in the initial layers and falters the moment they appoint people less effective than themselves. The more levels there are, the more difficult it becomes to exercise control. To have a good spring and early summer with multi-level selling you need a peerless product, a thoroughly ethical approach, and a wall-of-death instinct to know when to stop. Build Your Business Without Debt! 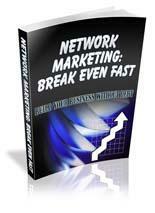 This e-book is targeted at the general network marketing community. This book is a must read especially if you havent break even in your business.